Become a subscriber and unlock an information arsenal focused on making your pricing efforts more effective. There is no “right” way to structure a pricing group. Instead, there are a whole lot of different “right” ways. We’ve seen organizations be successful with a host of different org charts. One particular arrangement might better for you than others depending on your industry, the age and size of your company, and who has been handling pricing activities before you formalize your organizational structure. But while there isn’t one right way, there is a wrong way to structure a pricing group. And unfortunately, this wrong approach is also one of the most common. In our opinion, the absolute worst way to structure pricing is to set up functional siloes. It’s easiest to understand what we mean by that by considering an imaginary B2B startup. This company might have begun with one employee: the CEO. Over time, he or she added more personnel as they were needed. First came someone to design the product, then someone to handle sales and marketing. As sales started to flow in, they needed an accountant, and someone to answer the phones, and so on. Eventually, the team gets big enough that it’s getting hard to keep track of all the prices that the company is offering customers. So the first pricing person hired might have the primary job of recordkeeping and setting up processes and technology to monitor prices. Then management realizes they don’t just want to keep records, they want to analyze those records, so they hire someone to perform analytics. Then, they might need someone to handle all the exceptions coming in from sales. Or the company might start an initiative related to differential value or customer segmentation, and they hire new people for those roles. They might even hire dedicated people to manage some of the technological tools. It’s easy to see how this structure evolves, right? It’s only natural that when you need someone to do a new job, you hire someone new to do that job. The net result of this siloed structure is that the people who work in pricing aren’t doing enough strategic work to justify their cost. Instead, they’re doing a lot of bulls**t work that makes them unhappy. And if the company needs to go in a different direction, it doesn’t have any well-rounded pricing experts who can fill that need. All it has are a bunch of super-specialists who can do one specific task. So the company has to go out and hire another new person, and the cycle starts all over again. If you started out adding personnel to your pricing team this way, it’s time to start over. Jump off the merry-go-round and restructure your department. You might need to re-train some of your employees, but that’s OK. Trust us, if they are like 99 percent of the population, they will prefer having meaningful work to sitting in their cubicles doing one simple chore and then twiddling their thumbs the rest of the time. Our webinar How to Structure Pricing Functions explains a whole bunch of other ways to structure your pricing team. Any one of these would be preferable to functional siloes, and one is probably a good fit for you. While you’re at it, check out Developing a Winning Roadmap for Pricing and How to Hire Great Pricing People. All these resources can help you build a team that not only works efficiently, it is also engaged in meaningful, strategic efforts that keep both the workers and the bosses happy. 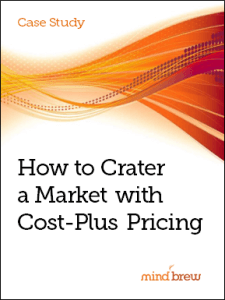 The structure of your pricing function can have major ramifications for years to come. In this on-demand webinar, learn effective approaches and considerations for structuring your pricing organization. In this Expert Interview, Stephan Liozu discusses what it really means to practice value-based pricing in a B2B environment. And here's a hint --- there's a lot more to it than many would have us believe! In B2B environments where discounting is habitual, it's easy to think that your list prices don't really matter all that much. But before you conclude that list prices are inconsequential in your business, consider this case of a B2B reseller who just couldn't see what they were missing. For one large manufacturer, cost-plus pricing was tantamount to malpractice. 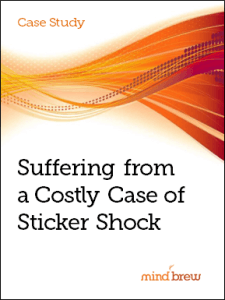 In this case study, learn how the lack of strategic pricing capability reduced the value of an entire market by over $1 billion. It can be difficult to know if your price segmentation model is as effective as it should be. This 21-point diagnostic assessment helps you measure how good your model really is and uncover potential areas of improvement.